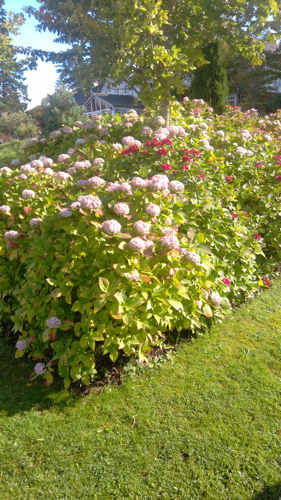 I think Hydrangea paniculata 'Limelight' really sets the scene at the start of the autumn. 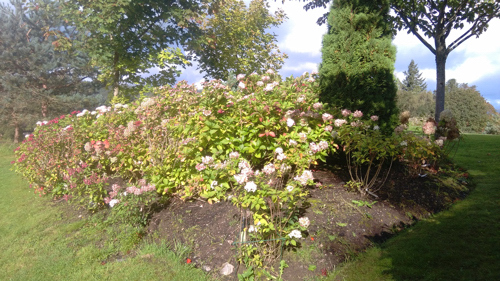 One of the planting projects at the Ryebeck, Lake Windermere has been to replant an end section of a Hydrangea border comprising the good old fashioned mop head Hydrangeas. I started gardening many many moons ago at the age of 7. I remember even at that young age being struck by the beauty of Hydrangeas, fascinated by the changing colours of pink and blue, depending on the acidity, or alkalinity of the soil. 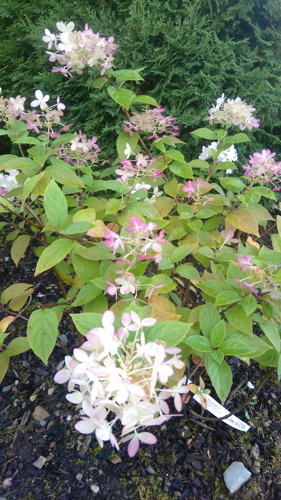 As the gardening years progress way ahead and leaving those fond memories to draw on, over more recent years I have become particularly fond of the Hydrangea paniculata species. The species of paniculata are native to southern and eastern China, Korea, Japan, and Russia.The cone shaped panicles are a particularly stylish addition as a background structure for planting with perennials, and matching colour schemes. The Hydrangea border at the Ryebeck was in desperate need of attention insofar as it comprised some unsightly species of Berberis that just weren't complimenting the mop head Hydrangeas. 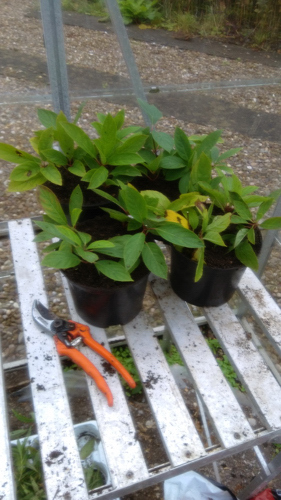 Hydrangea limelight was my main choice alongside other paniculata, this has added contrasting flower structure with the mop head forms since the Berberis has been removed. 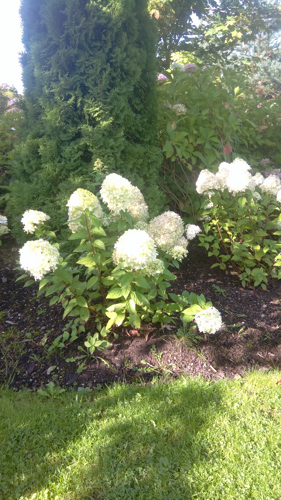 I have heard Hydrangea limelight described as a gentle soul, I think that's an apt description. The beautiful large white panicles with a hint of lime green last from late June through to the autumn. As the flowers fade they turn a wonderful musty pink. This connoisseur of a plant will reach approximately 1.4 metres in 10 years. 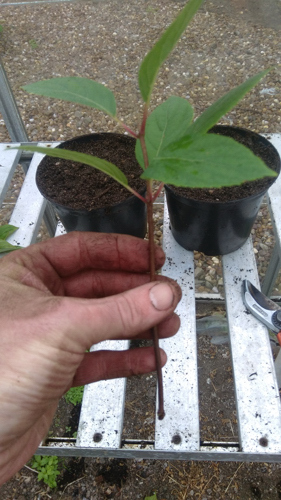 Non flowering stems selected for the cuttings. 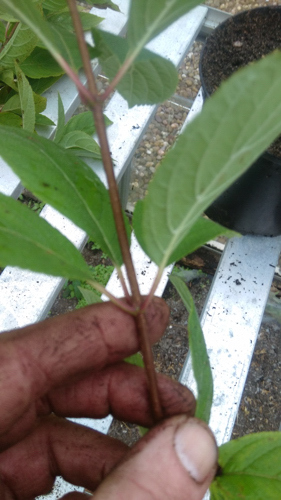 Cutting below a node, tip leaves removed. semi ripe non flowering stems selected. Cuttings completed, placed in unheated end of glasshouse for rooting, alternative is the cold frame. It's certainly a challenge gardening in South Cumbria with the ever changing patterns of weather. I will be continuing my challenges on plant propagation. 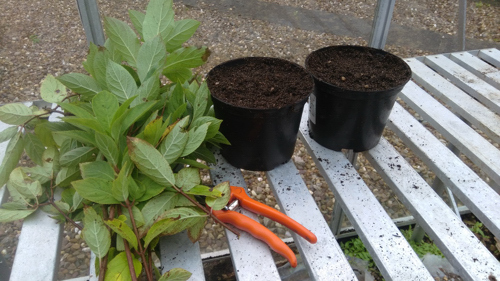 It's that time of year to start taking semi ripe cuttings, and so on working with that schedule in mind, taking cuttings of the paniculata group of Hydrangeas. 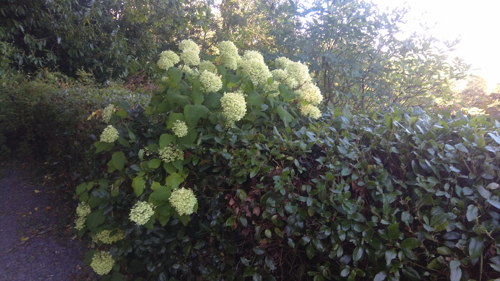 Hydrangea Arborescens 'Annabelle' is a wonderful sight as it grows through a Viburnum tinus hedge. I carefully trim around this as an added feature to the visitor entrance . 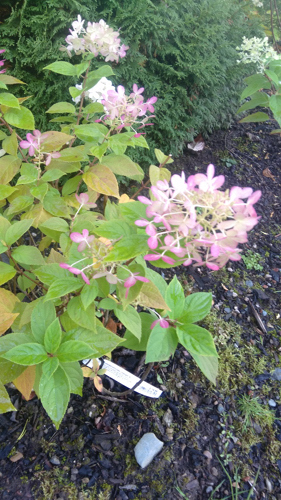 0 Comments To "Hydrangea paniculata 'Limelight'"